G. Lalo encompasses three superb heritage brands from France – J. Herbin, Brause and G. Lalo itself. 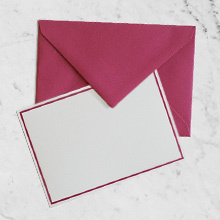 Georges Lalo began manufacturing the luxurious collection of G. Lalo papers and envelopes from rue Richer in Paris in 1919. Highly sought after, G. Lalo maintains its position at the pinnacle of quality correspondence papers. The entire range is fountain pen friendly. J. Herbin inks were first formulated in 1670 and, to this day, the ingredients and methods have been maintained. 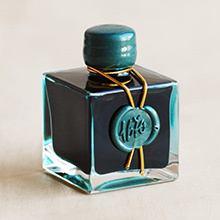 Renowned for the high quality and wide range of inks offered, J. Herbin is a timeless brand. 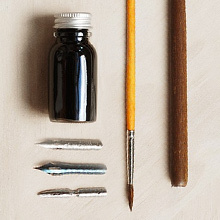 Since 1850 Brause has been manufacturing nibs for writing, drawing and calligraphy. The best materials and manufacturing techniques are employed to create nibs that are both supple and responsive. Telegram Co. is the official, exclusive distributor for these three brands in Australia and New Zealand. Interested in stocking J.Herbin, Brause or G.Lalo? Please complete our retail partnership enquiry form.